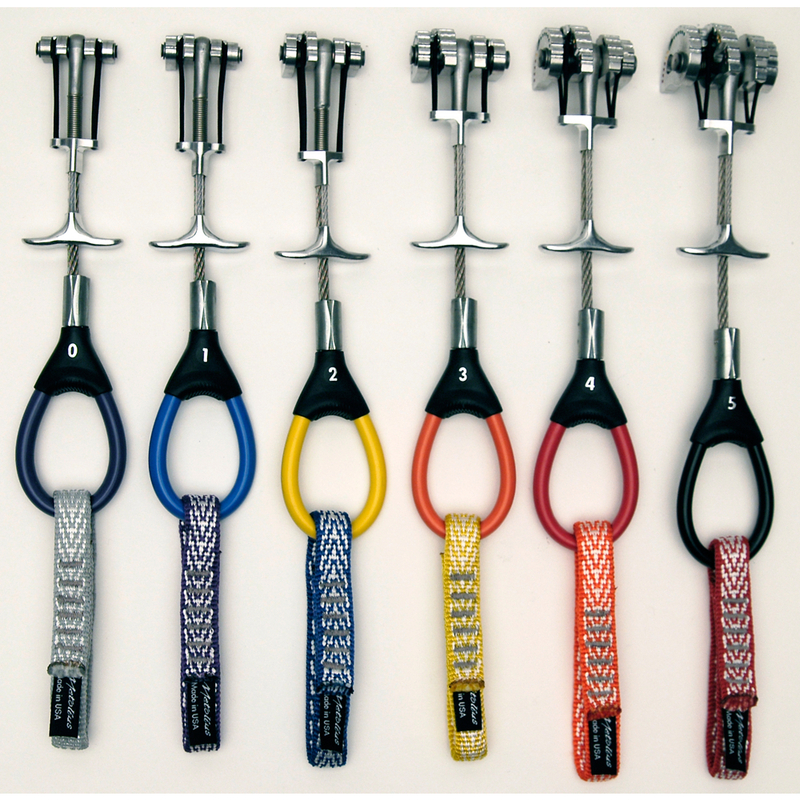 Visit Metolius's Offset Master Cam page. 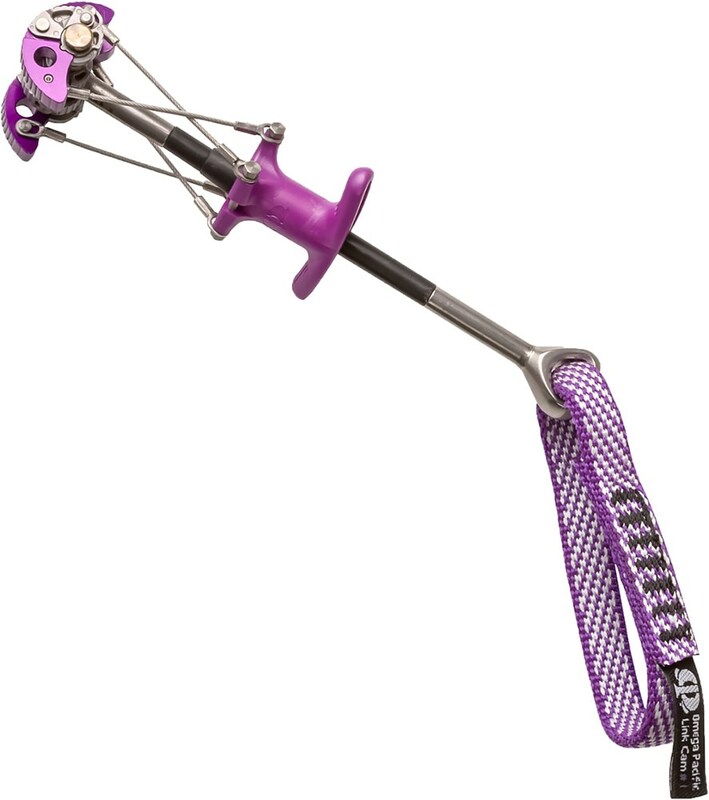 Description of Metolius Offset Master CamMetolius Climbing manufactures rock climbing gear and was founded in 1983 by master craftsman Doug Phillips. Doug started in his Central Oregon garage, making gear and selling it in the Smith Rock parking lot or down in the Dihedrals. Back then, much of the gear we now take for granted wasnt available, so we just made it ourselves.Offsets are composed of two small lobes and two larger lobes to fit flared placements and pin scars. 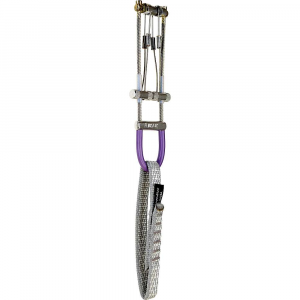 A flexible, single stem unit with an ultra-narrow head width for hard aid or free climbing. Range Finder tells you at a glance if youve chosen the right size cam for the placement. Optimized cam angle for more outward force. Color-coded sewn slings and tubing. Hand built, inspected and individually tested to its rated strength in Bend, Oregon.Features000 graypurple 0.34 - 0.52 5 kN 2.2 oz.01 purpleblue 0.44 - 0.65 5 kN 2.3 oz.12 blueyellow 0.57 - 0.80 8 kN 2.4 oz.23 yelloworange 0.67 - 0.97 10 kN 2.7 oz.34 orangered 0.85 - 1.19 10 kN 3.0 oz.45 redblack 0.93 - 1.32 10 kN 3.3 oz. Thanks to their offset cam lobes and ultra-narrow head design, Metolius Master Cams fit securely in places where other cams don't stand a chance. The ability for these cams to fit in shallow, flaring cracks makes them a top pick for cutting-edge free trad lines and aid climbs alike. 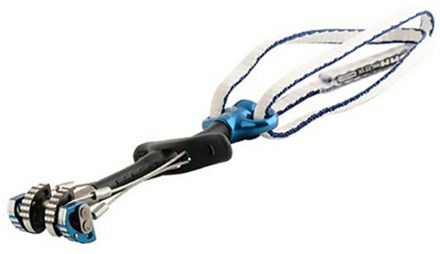 Metolius added a large thumb loop to make placements easier and provide a high clip-in point when you're stretching for the next aid placement. Metolius also added cam stops to provide an extra level of security in case the lobes get tipped out as you climb above your gear. 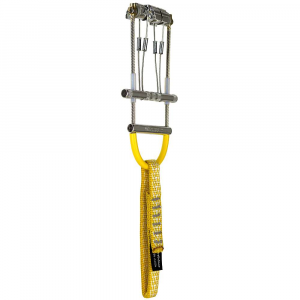 The Metolius Offset Master Cam is not available from the stores we monitor. It was last seen September 26, 2018	at Mountain Gear.